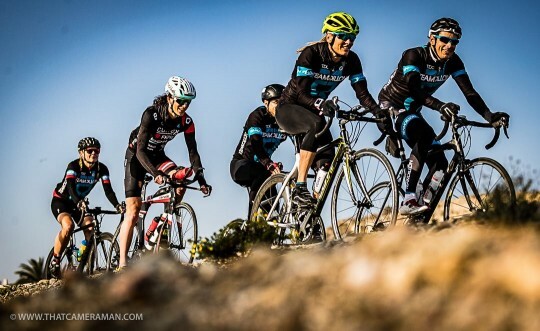 A secret insight into one of the world’s leading triathlon squads. Touchdown in Spain. Sunlight – check. Warmth – check. Training friends – check. Now this is the life! A solid two week block was on the menu: much needed after a winter of toil in the ‘boring basement of dreams’ at home in the U.K.
My connection with Team Dillon grew very naturally; sealed mainly by a mutual love of post-race wine and magic shows. 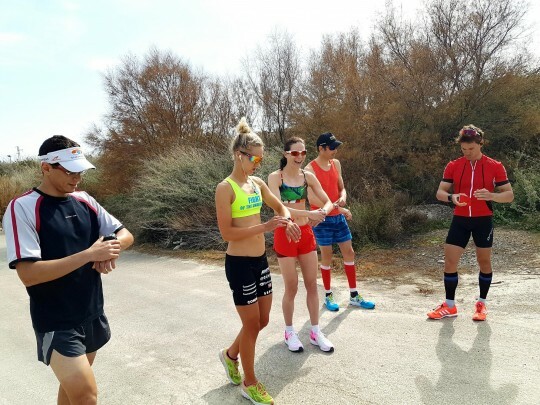 Yes, when not training (which isn’t much), ‘Magic Stu’ (Hayes) and Emma (Pallant) are already carving out a glittering career path post-triathlon. It made meal times very entertaining, with mouthfuls of pizza being interjected by puffs of smoke and huge wands popping up from nowhere. I’m pleased to report that 80% of the time, the tricks worked every time. 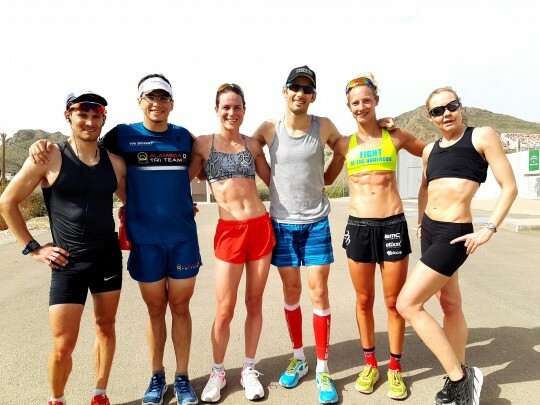 It’s quite rare to meet a group of elite athletes who train really hard, are super professional and focussed, but maintain balance, good humour and positivity throughout. It’s a guaranteed recipe for success, and the inclusive nature of the team, where age groupers train alongside pro’s (or at least all start together) means there’s always someone to talk to with a story completely different to your own. Everyone benefits. The hard work certainly got done; a perfectly structured balance of high intensity and high volume. I was surprised how well I pulled up. I swam, biked and ran my fastest training sessions ever. What a lift, having a couple of faster athletes to chase! The group dynamic also proved invaluable in ingraining some tactical awareness into my oft dopey brain. Suddenly, some reps became races and I got ‘schooled’ by tactical surges and moves that took me unawares (and also the sheer pace, of course!) You win races with your brain and your heart, so it was a good shake up for me, given I typically cycle and run on my own. Would I recommend the camp? Absolutely. You just have to look at the team’s pedigree for starters. 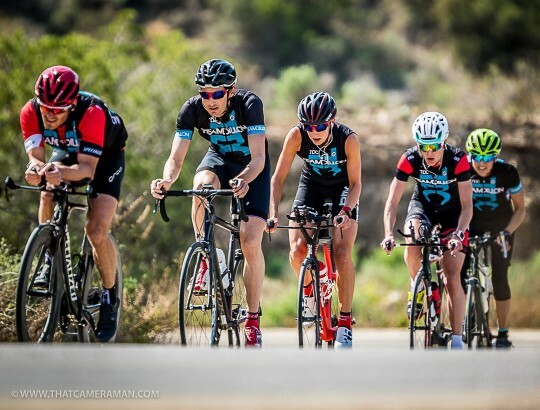 The Team Dillon coaches compromise two Olympians, a 70.3 champion and more elite duathlon World titles the I can count (there goes my dopey brain again). The coaching is on the same level. The notion of ‘excellence’ is always very difficult to find, but these guys have it drilled down. I learned a tonne about what I can do now to be the best I can be, and I am really excited to have banked this level of quality training at this stage in the season. Massive thanks to Michelle, Stuart and Emma for having me.